The Booktrope version of Sandcastle and Other Stories: The Complete Edition is now available for Pre-Order. What a wild ride on a long and curvy road. I thank everyone for making this day happen. Readers, fans, friends, and family, I am throwing gratitude your way. It’s not often a book is published three separate times utilizing three different publishing platforms, and I am happy with this turn of the time clock. 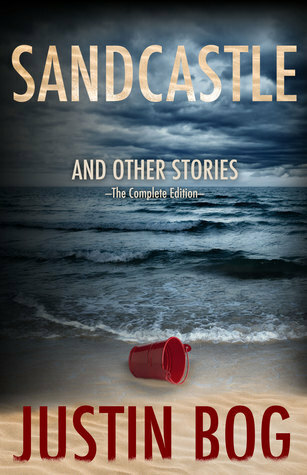 The tiny original self-published ebook-only version of Sandcastle and Other Stories came out in May of 2012, the 8th, and I’ll never forget calling all my friends to let them know that I’d finally achieved a writing goal. Some shared their enthusiasm and wanted to know when they could find the paperback. At that time, a paperback version was but a dream . . . until a boutique Washington publisher came calling and said they would love to publish the paperback version in January of 2013. There was a huge “if” there, and this was a new experiment on the publisher’s part, and I jumped into this with full knowledge, willingly, and I was interested too since it’s kind of an early form of where publishers are heading: I would have to fund the up front costs of publishing the title. This experiment didn’t come with an exorbitant expense, and I was told I would get paid back first based on future royalties before the publisher would take a dime. Yes, this did happen. The book earned back its cost and more. Moving forward to the next book, I didn’t understand all the ins and outs of this kind of arrangement since this experiment was abandoned and other authors in the house did not have this kind of contract, but I had good faith in the people there (still do). In 2013, I travelled everywhere, sold the book across the country, making stops in Harbor Springs and Petoskey, Michigan, sat on a short fiction panel for Chicago’s incredible Printers Row Lit Fest with Simon Rich and Amina Gautier, signed books in Cannon Beach, Oregon, Village Books in Fairhaven, Washington, even flew to a weekend author gathering in Dallas, Texas, “just to be polite,” as Divine’s character said long ago; I said yes to anyone that would have me. I still signed the contract, and would again. I have no regrets, even though, at times it felt like I was the only one risking anything by doing so—the trade paperback original turned out lovely and professional, and the publisher allowed the use of my parents’ artwork in the creation of the book covers (a lament for my novella The Conversationalist, a psychological thriller that very few bought to read or fill up empty space on their kindles). Sandcastle and Other Stories kept selling a few copies here and there throughout 2013, but it didn’t scream: “Quit your day job,” by no means. 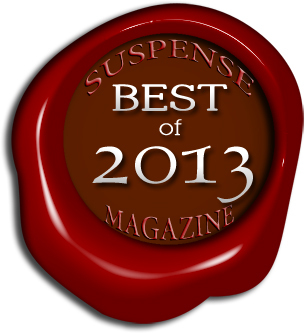 In this version, Sandcastle and Other Stories was named Best of 2013 Suspense Anthology by Suspense Magazine, a wonderful feather in the book’s cap. It also garnered a Finalist tag from the Ohioana Book Awards, one of six books chosen out of over 400. Since then, in August 2014 I parted ways with this first publisher, and the strange-in-a-good-way book contract has been dissolved (happily, calmly, and, again, professionally). I then signed with a larger outfit, Booktrope, a hybrid publisher based in Seattle, who came calling around the same time I was splitting with my old publisher. I wouldn’t have to pay anything up front to get my books published anymore. This felt real to me for the first time and exactly how publishing should be. I now have a team of professionals working with me to make Sandcastle and Other Stories: The Complete Edition, and my first title, Hark—A Christmas Collection, shiny, crazy, cool Justin Bog books. Recently, I was accepted as a new member of the ITW: International Thriller Writers group, something I could only dream about. Lee Child and M.J. Rose are the current Co-Presidents, and there is a wonderful email sign-up if you’re interested in being contacted about what new books in the thriller, suspense, mystery, and horror genres are coming out each month in their magazine: The Big Thrill. Click HERE to be taken to their website. For The Complete Edition of Sandcastle and Other Stories I added two final contemplative tales to the original ten, and these make the collection feel more natural, rounder. The closing tale, Speak the Word, finishes with a slight glimmer of redemption, not just for that story’s grieving narrator, but for the entire cycle of narratives, drawing the twelve tales together. The entire book went through several more rounds of editing, and these editorial passes have made the stories better, stronger . . . faster. The eBook is now available to Pre-order at Amazon . . . click HERE! The paperback, which is also wonderful to behold and hold, has the same cover designer, Shari Ryan, who created Hark’s cool book cover. I love her talent and creativity. She captured the darkness contained in the collection. Both versions of the book should be available by May 29th, 2015. Please let me hear from you . 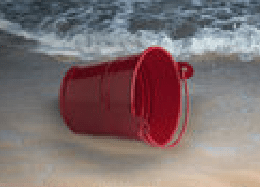 . . and watch out for Brenda if you head to the beach this summer. If you enjoyed this post, please subscribe to my blog and sign up for my newsletter (to the right), and Follow me on Twitter or Facebook! Lastly, for Apple/Mac IT, WordPress wrangling and multimedia Publishing/Editing Services, please contact the company that I use: Convenient Integration. PreviousPrevious post:Horror Story Part 29: A Play Demonic (The Queen's Idle Fancy)NextNext post:Wow—It's Zippy's 9th Birthday!